as well as help prevent recurrence of cancer once you’ve completed treatment. to maximize the benefits you can receive from true collaborative care. In this phase, time is of the essence. It is all about getting the tumor out of the body…right now. The tumor can be removed using one or more of the most common conventional methods: surgery, chemotherapy, and/or radiation. Because of the need to remove the tumor from the body, treatment during this phase is highly conventional-focused, with Naturopathic Oncology playing a supporting role. But that supporting role is crucial because it can make the conventional treatment more effective. How it accomplishes this depends on the type of conventional treatment you’re going through. Note: Some patients have already begun treatment when they learn about the benefits of Naturopathic Oncology. We can start working with patients even when they are in the middle of treatment, and there are still significant benefits to be gained by adding naturopathic support at that time. During this phase, the goal is to implement a treatment plan that addresses the underlying cause of the cancer in order to minimize the chance of recurrence. Care now becomes highly focused on naturopathic treatment, with conventional medicine playing a smaller role. 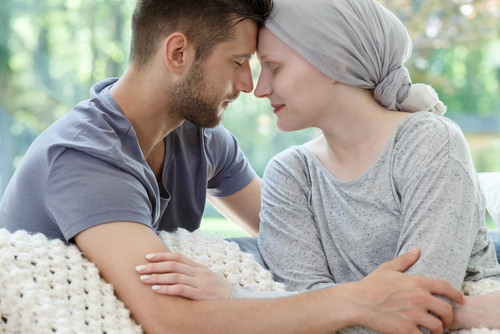 Many patients report feeling comforted that they are doing all they can to prevent recurrence as well as confident that if the cancer does come back, they know they have naturopathic support to help them through it. Another advantage of working with Naturopathic Oncology in the Post-Treatment phase is the ability to find out as soon as possible if the cancer does in fact recur. Conventional oncology primarily relies on imaging to detect cancer recurrence. But the naturopathic approach utilizes a wide array of laboratory blood tests that have the ability to detect the beginnings of cancer significantly earlier. In fact, cancer cells can be detected in the blood before symptoms appear – and even before cancer cells start to aggregate into a tumor. If we can detect it early enough, it gives us the edge, and that edge may even result in you not having to go through treatment again. Note: For those patients who have not yet been diagnosed with cancer but are concerned about the possible presence of genetic markers that may increase their likelihood of developing cancer, a new and growing service we offer is genetic testing and counseling. One of our most effective weapons in supporting your fight against cancer is the highly individualized treatment plan we develop and refine specifically for you. While the conventional model excels at treating the tumor, Naturopathic Oncology is about treating the patient, not just the disease. We often think about treatment in terms of cancer being a “splinter” in the body that needs to be removed. Medical oncology is absolutely invaluable for providing the tools to remove the splinter. But once the splinter is gone, the cycle that led to the splinter has still not been addressed. That’s where Naturopathic Oncology comes in. We work to identify which of the following categories of underlying cellular change have occurred in your life and may have contributed to the formation of cancer cells. Once we’ve identified the most likely categories, we develop your individualized treatment plan with the goals of supporting the foundations of health and optimizing the immune system. As we implement your treatment plan, we start to get traction in certain areas, and this traction can help us further confirm the categories where underlying causes may exist, which in turn can help us hone in more accurately on even more effective therapies. Nutritional deficiencies can often be the primary (or contributing) underlying cause of cancer. When a cell in your body is deprived of a necessary nutrient, that process can lead to cellular damage. Cellular damage can feed the “cancer cascade” because the cell is forced to operate in a different way in order to continue functioning. But if we can correct that nutritional deficiency, it gives the cell an opportunity to function as a normal cell instead of as a cancer cell. Far from taking a one-size-fits-all or “shotgun” approach, Naturopathic Oncology utilizes a variety of physician-grade neutriceuticals in a highly targeted way to correct specific biochemical deficiencies. Cranio-sacral therapy and visceral manipulation are two low-touch, fully clothed types of bodywork that have proven particularly effective with cancer patients by addressing restrictions in connective tissue and providing both cellular and immune support. These therapies have a unique ability to shift a patient’s nervous system from the sympathetic (fight/flight/freeze) mode, to the parasympathetic (rest/digest/heal) mode, as well as lengthen the amount of time the patient stays in that mode. The more time the nervous system spends in the healing mode, the more opportunity there is for cellular repair. Create a safe place for patients to discuss the suspicion of illness and/or the shock of diagnosis. Empower the patient to make all decisions for themselves regardless of well-meaning resources. Recognize all associated illnesses or trauma involved physically, emotionally, and spiritually. Determine the underlying cause of illness by utilizing history, physical exam, lab test and/or imaging, and mind-body techniques. Identify the best tool for the individual at any given time that supports the innate ability to heal. Collaborate with care providers to support patient with chosen tools. 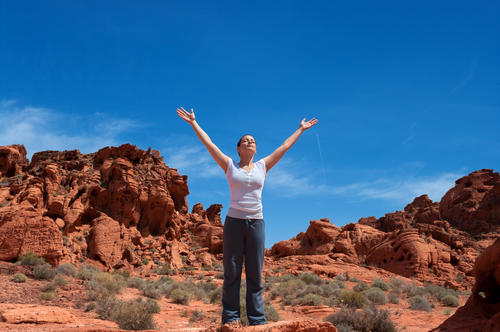 Guide patients as they improve their quality of life through the experience of chronic illness and healing. Utilize clinical outcomes to better understand evidence-based medicine as it applies to chronic illness. Dr. Butler’s passion for oncology bridges her appreciation of both conventional and naturopathic modalities and brings cancer care to an elevated level. Dr. Butler is credentialed by Bozeman Health Deaconess and continues to provide care for patients in their facility. She works closely with medical oncologists and other practitioners to create a team approach that is beneficial for all. 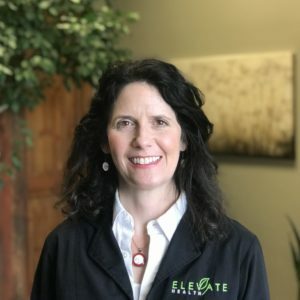 She is also a registered provider with Research Genetic Cancer Clinic, allowing her to bring the knowledge of oncologists all over the world to Bozeman, MT.